In the hot lazy days of summer, what better way to cool off than with an old-fashioned ice cream cone! 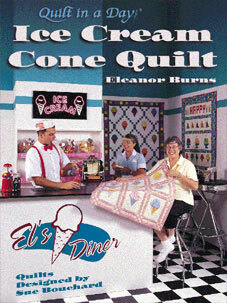 Eleanor Burns, with designer Sue Bouchard, have captured that feeling in their new book, Ice Cream Cone Quilt. This cheerful new book gives step by step instructions for three complete quilts and two additional projects. 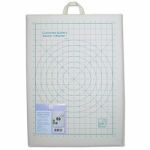 Patterns include: Two Cone Quilts, Triple Decker Wallhanging, Ice Cream Pillow or Wallhanging, Happy Birthday Quilt. This video clip of "Ice Cream Social, Part 1" is from the Quilt in a Day video series "Country Fair." View Part 2 Here.